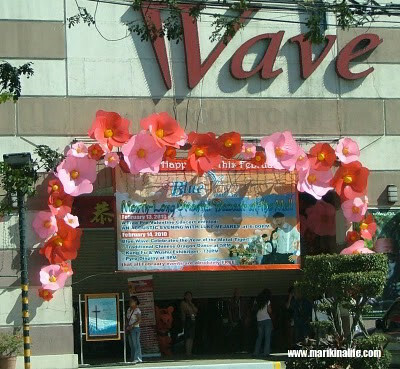 Bluewave celebrates both Valentines day and Chinese New Year with its list of mall events lined up for this weekend. On February 13, 2010, Bluewave will be holding a free pre Valentines concert entitled "An Acoustic Evening With Luke Mejares" at 6:00pm. Former South Border member and R&B sensation Luke Mejares will perform a series of love songs to get you into the romantic mood. And the next day, on February 14, 2010, Bluewave celebrates the Year of the Metal Tiger with a traditional Chinese Dragon Dance at 5:00pm, Kung Fu & Wushu exhibition at 7:30pm and a Pyro Display at 8:00pm. Aside from this weekend celebrations, the month-long Oriental Bazaar is ongoing. Be serenaded with romantic songs and usher in the Chinese New Year both at Bluewave this weekend.